Ideal for school / church fetes, etc. or themed garden party. 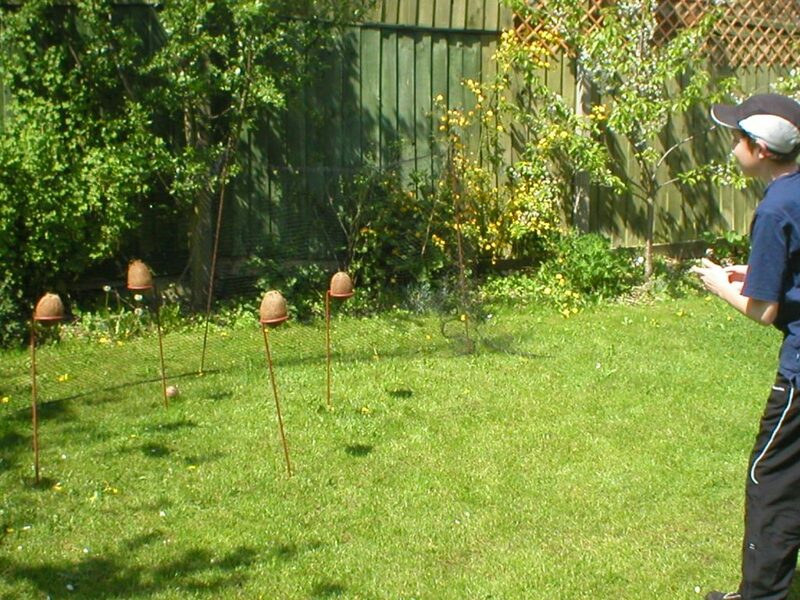 Full set includes 8 metal stands & wooden balls. 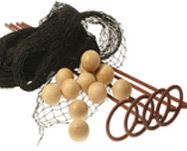 Net can be supplied to catch the balls (£5 extra) – but works best inside a gazebo or with a solid fence / wall behind. Balls are charged at £1.25 each if lost. 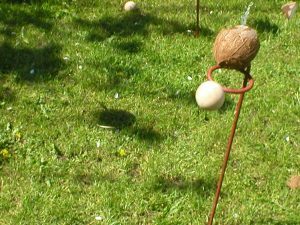 Please remember to order coconuts from your local supermarket before your event.